Dental bonding involves the placement of resin with adhesives and a specialized curing light. The resin matches the color of the surrounding teeth to provide visually appealing uniformity across the entirety of the visible portion of the mouth. Bonding is highly effective for cosmetic purposes since it enhances the appearance of a chipped or discolored tooth. However, dental bonding also has additional purposes. Here is a look at the some of the other uses for dental bonding. Though most people apply dental bonding to their teeth to improve aesthetics, dental bonding can also be used to protect chompers against damage. As an example, dentists are now adding dental bonding to teeth to safeguard the root portion of the exposed tooth when the gums recede. 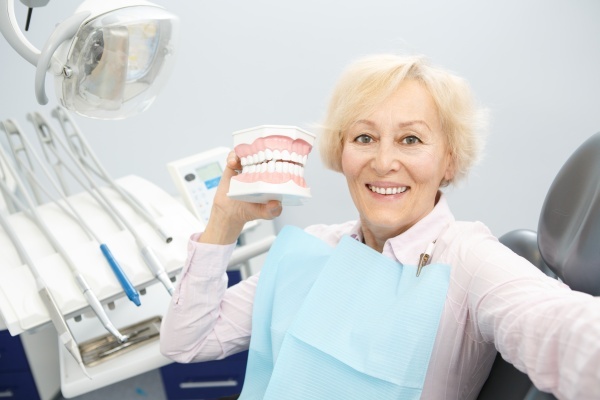 Gum recession tends to occur across the aging process. If you have any concern with the way your smile looks due to gum recession, dental bonding will certainly help remedy the situation by enhancing your appearance and oral health. If you have silver amalgam fillings in your mouth or are considering them to remedy a cavity, bonding should be considered a viable alternative. Bonding really can serve as an effective substitute for those unsightly silver fillings. Bonding can cover the tooth with a resin material that matches the color of the teeth. This aesthetic is vastly superior to that of silver amalgam fillings that have the potential to distract onlookers each time you open your mouth. Dental bonding will repair decayed teeth just as well as silver amalgam. Dental bonding enhances the look of cracked or chipped teeth. There is no sense in living life with a damaged tooth when dental bonding can improve its appearance and functionality. Having a dentist apply bonding to the tooth will safely enhance the appearance. It is possible to enhance discolored or stained teeth with a small amount of dental bonding. The application of dental bonding is quick, direct and effective. After applying dental bonding to the teeth, the patient will be able to smile in front of others without feeling self-conscious. You may not even realize there are considerable gaps between your teeth unless you seek a professional dentist appointment. These gaps do not have to be a regular part of your appearance. We can close the gaps between your teeth with dental bonding to prevent less food from sticking between your teeth. Furthermore, your smile will look that much better, especially if the gaps are in the front portion of your mouth. For more information or to schedule an appointment with Northside Dental Care, PC, request an appointment in our Peabody dental office here: https://www.northside-dentalcare.com. Or call us at (978) 206-7077. « Can Veneers Stain from Smoking?